You probably know the film “Spirited Away” from Studio Ghibli. What you might know about this film is that the bathhouse was modeled on a real location! Yes, that’s right – Yubaba’s bathhouse was inspired by Dogo Onsen in Ehime Prefecture. While the current bathhouse building dates back to 1894, bath facilities have been at Dogo since the 6th century! So how to celebrate 125 year of such a historical building? We introduce to you the “Dogo REBORN” project! This will involve a careful restoration of the historic building while keeping the bathhouse open. 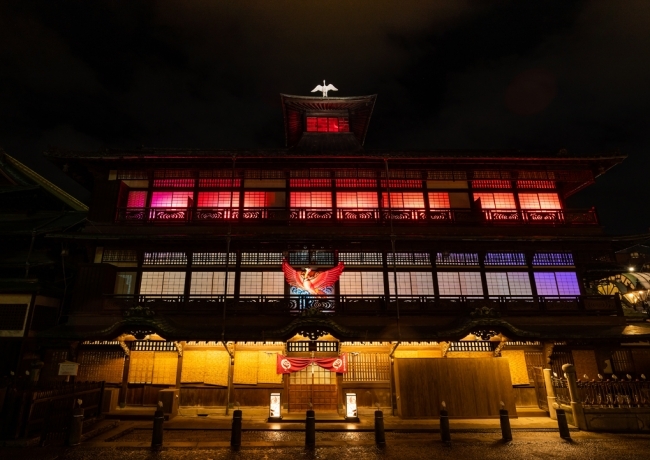 What’s more, from 1 February the north facade of the bath house has been lit up with projection mapping from 18:00 to 21:30! Featuring a phoenix, this dazzling display of light and sound will centre around the concept of rebirth and the phoenix rising. 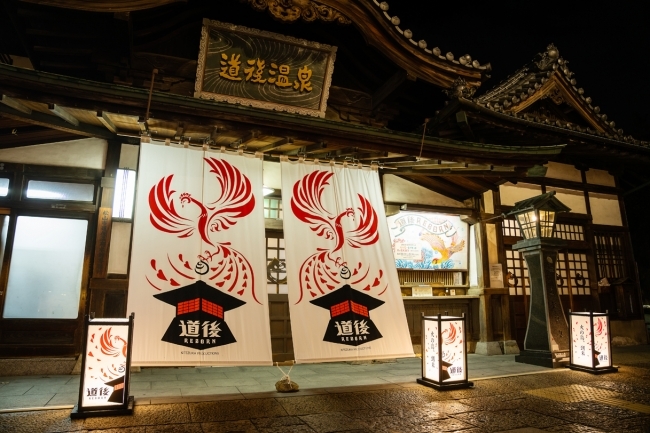 If that wasn’t enough, Dogo Onsen have teamed up with Tezuka Productions, the studio behind “Astro Boy” (鉄腕アトム), and are creating an special version of the “Phoenix” (火の鳥) manga titled “Hi No Tori ‘Dogo Onsen Hen'”(火の鳥“道後温泉編”)!